Well, hello again. Thanks for dropping by. I thought I’d post a quick update on my progress toward running the Ottawa Marathon on May 25. 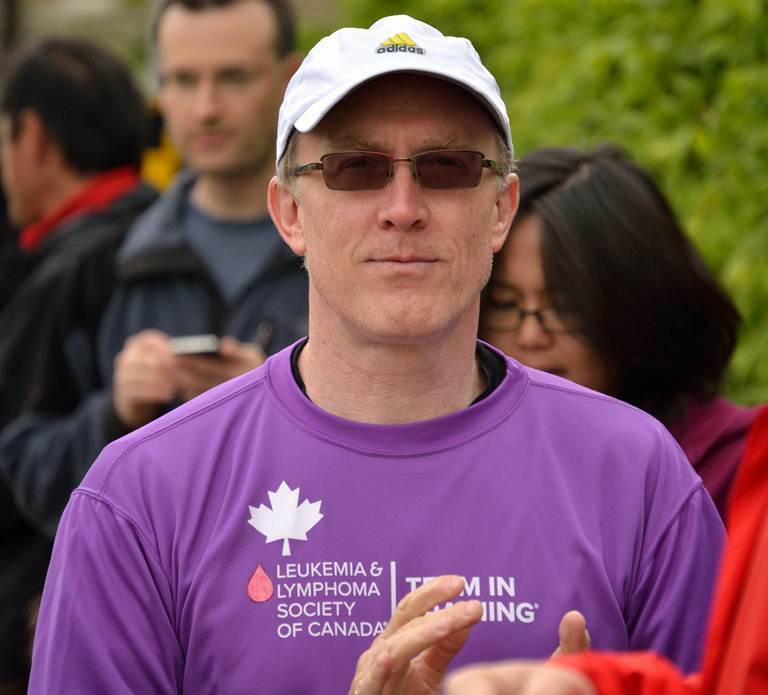 I’m pleased to report that my training is on track, and that I’ve met my fundraising goal for the Leukemia & Lymphoma Society of Canada (that said, it’s NEVER too late to donate – please click here if you are feeling generous today, with thanks!). On March 29th, I turned 50. I’d like to think that 50 isn’t as “old” as it used to be. Regardless, turning 50 makes one take stock of one’s fortune. I’m a very lucky guy, as evidenced by my wonderful family and friends, and my overall good health. I don’t take it for granted. On April 6th, I ran 30 kilometers for the first time. This is not an insignificant milestone. I’ve run 20-25km many times, but this is the first time I’ve hit the big 3-0, in running terms. I’m at the point now where in my mind’s eye, I can actually visualize myself running the 42.2km and finishing the big race that awaits. I’m definitely starting to feel the effects of the extra mileage on my aging legs & feet. My knees are complaining, pretty regularly – but so far, it’s not a deal killer … I’ve changed my form/stride a bit, which helps, and the pain in the knees only lasts a day or so, and then subsides. My legs, generally, feel like two pillars of solid concrete now – logging 60km or more per week will do that to 50-year old legs. So I grouse a lot now about the legs, to the chagrin of my long-suffering wife and son (to both: thanks for putting up with it – only seven more weeks!). And the toes – ewwwwww. I tempted fate a few weeks back by knocking on wood and telling friends how I’d never had any foot issues from running. Well, now I have a few toenails that are not long for this world. Such is the price for going the distance – I’ll gladly pay it. The good news is that finally – FINALLY! – the weather is also turning a corner. Spring is in the air (kind of, at least) … which makes the running way, way more enjoyable than it was even two weeks ago (12cm of snow and gale-force winds). And I’m seeing all sorts of fellow runners on the streets of Ottawa now – all cramming for the upcoming Ottawa Race Weekend, which is a great experience for runners and spectators alike. If you’re in Ottawa and have not come out before, you absolutely must head downtown on May 24 (afternoon/evening) and May 25 (morning) to encourage the 45,000+ runners who will be doing their thing that weekend. Trust me, we appreciate every call-out we hear along the way! More info on ORW can be found here. If you go, be on the lookout for runners like me, wearing the distinctive purple Team in Training jerseys – we’ll be out there pounding the pavement and turning many corners, to bring hope, treatments and – one day – a cure for those afflicted with blood cancers like leukemia, lymphoma and myeloma. Give us a big “GO TEAM!” shout-out and you’ll be rewarded with a big smile – I guarantee it!!! Thanks as always for your time, interest, support and encouragement. Hopefully I’ll see you soon on one of my runs.